In a note sent to investors, KGI Securities analyst Ming-Chi Kuo pointed to the iMac, forecasting great news for potential iMac buyers: the updated all-in-one Apple desktops will likely have Intel’s new Haswell processors. 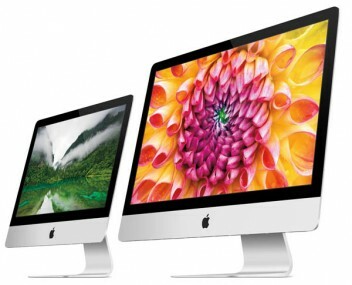 The updated iMacs will hit the stores in June or July, according to Kuo (via MacRumors). The analyst sees a natural drop in iMac sales down to 650,000 units in the second quarter compared to 1.75 million reported in the first quarter. The drop is partly due to seasonality and partly a natural drop compared to the launch demand. We attribute the shipments decline to the fact that new product shipments have peaked and due to the arrival of the consumer slow season. But we believe iMac shipments troughed in 2Q13. 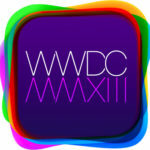 Apple is expected to upgrade iMac processor to Intel’s (US) latest Haswell processor in June or July. Meanwhile, the consumer peak season has arrived. Thus we expect shipments to reach 1.1mn units in 3Q13, up 69% QoQ. Full-year shipments are forecast to be 4.7mn units, up 31% YoY. His remarks however, show a change from his earlier product launch forecast: back in January Ming-Chi Kuo said Apple would likely launch updated iMacs around the beginning of the fourth quarter. Ming-Chi Kuo has a good track record of predicting Apple’s moves, so his notes are watched closely. Today’s forecast, though, apparently has no basis, since there has been no evidence leaked that the company will indeed use the WWDC 2013 keynote to update its iMac line. Apple has recently redesigned the iMac and will likely keep this design for the next generation as well, without holding a dedicated event to announce it.